Yesterday, I fired up the grill for the first time this season. I thought a nice summer dessert was in order, so I tried smores bars. I’d pass out the recipe on here, but they actually weren’t that good. 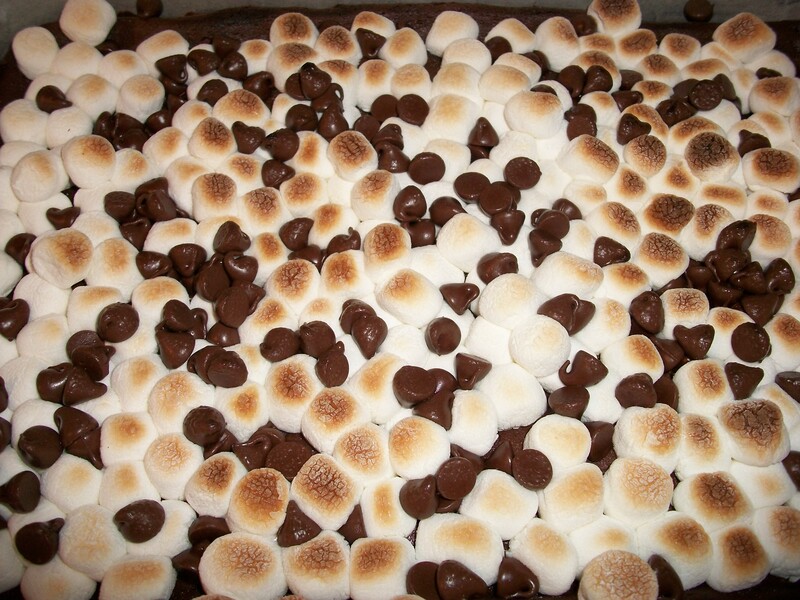 I must say though that when I opened the oven door to check on how the marshmallows were browning under the broiler, the smell wafting out made it almost worth cooking these even if they aren’t that great to eat. 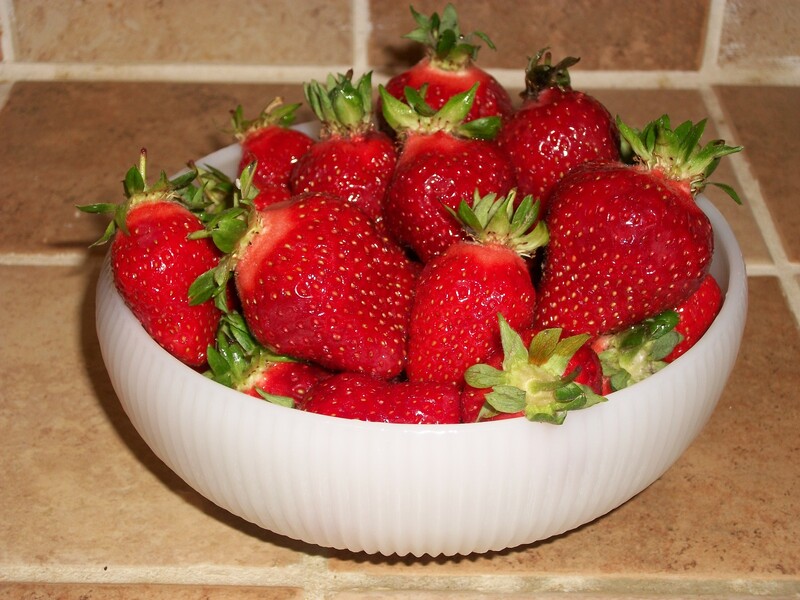 My friend had visited earlier in the day and had brought some strawberries from the roadside stand — the kind of strawberries that smell delicious and look great in my 25 cent yard sale bowl. These signs are along a fairly sparse stretch of road, miles and miles from the nearest big box store. The towns are serviced by the local TruValue and an assortment of mom and pop establishments, so when I drove past on the way to the wedding, I thought it odd that two pizza places would be located right next to one another. I was wondering if one was clearly superior with lines out the door while the other just languished. 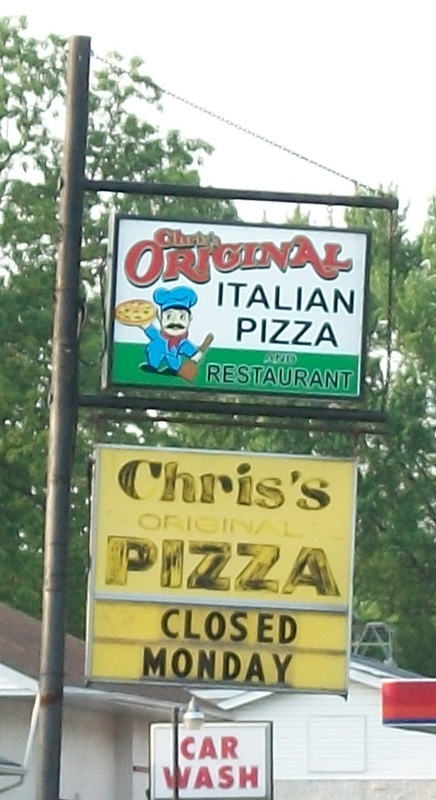 Alas, when I pulled over on the way back from the wedding to snap the picture, I found out that it’s one and the same pizza place. It appears that this must be a case of sign hoarding. I mean, why take down the old lousy sign when you buy a new one? Go for double the advertising. 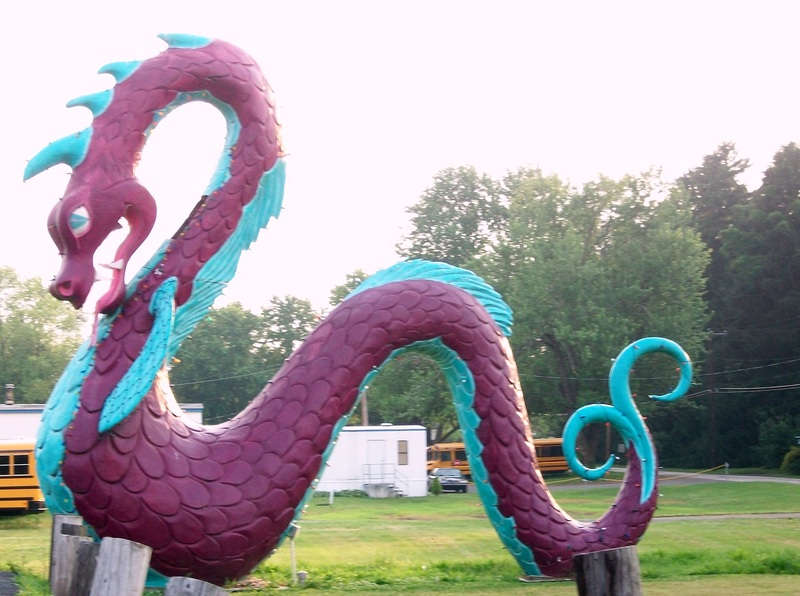 Yeah, I have no idea why this giant sea serpent is in the middle of the lawn. The name of the bar and grill had nothing to do with sea serpents. Fortunately, there was enough daylight to photograph one of the seven wonders of rural PA, but unfortunately, there was enough daylight to photograph this wonder since he was also decked out in colored Christmas lights. Er… use your imagination to figure out why this creature is there and to envision how purty he must be all lit up in colored lights at night.